UVA’s Radiation Oncology department blends compassionate employees with high technology to deliver patient focused individualized care. We have been leaders in new technology for years and have the widest number of advanced treatment options in the state of Virginia, allowing us to custom tailor a treatment for each patient’s unique needs. 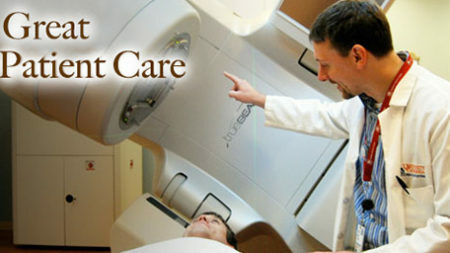 Every Radiation Oncology researcher is dedicated to better results for our patients in our clinic. Your contribution, whatever its size, can help ensure we are able to offer the best care based on advanced medical research. Residents are exposed to a broad mix of clinical experiences during their residency training and have the opportunity to pursue a wide range of research and scholarly activities as well as supplemental rotations in areas of special interest. 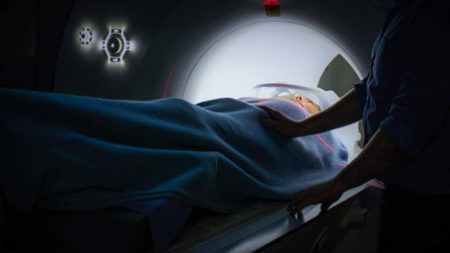 This two-year program provides clinical training in all aspects of radiation oncology physics, including dosimetry, QA, machine commissioning, brachytherapy, and advanced treatment techniques such as Total Body Irradiation, Motion Management, IMRT, IGRT, and Stereotactic Radiosurgery. 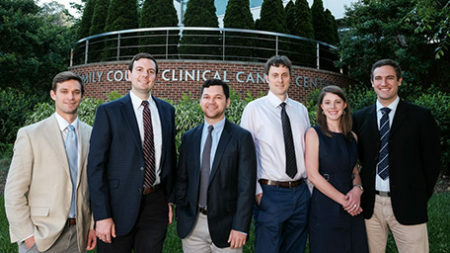 The UVA Radiation Oncology Department has a distinguished research team with active labs.